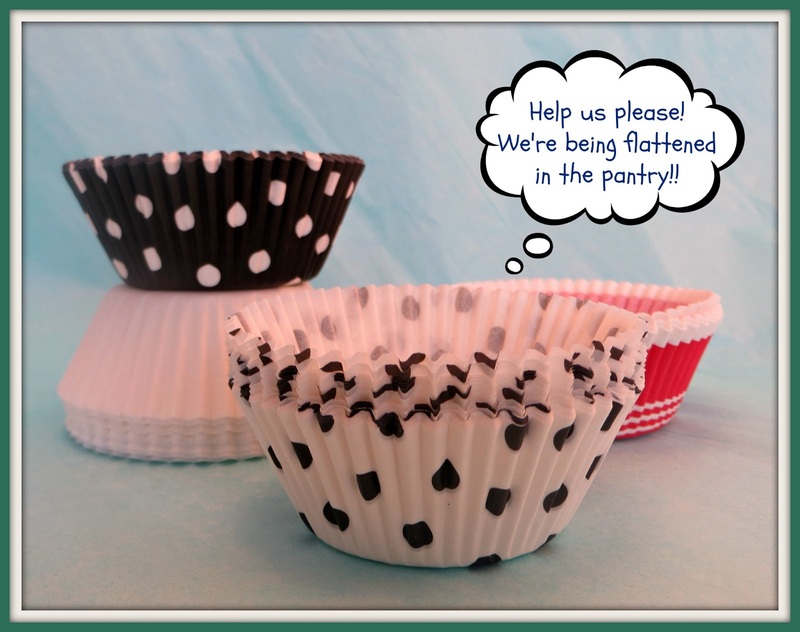 Leigh has inherited the craft gene (of course!) 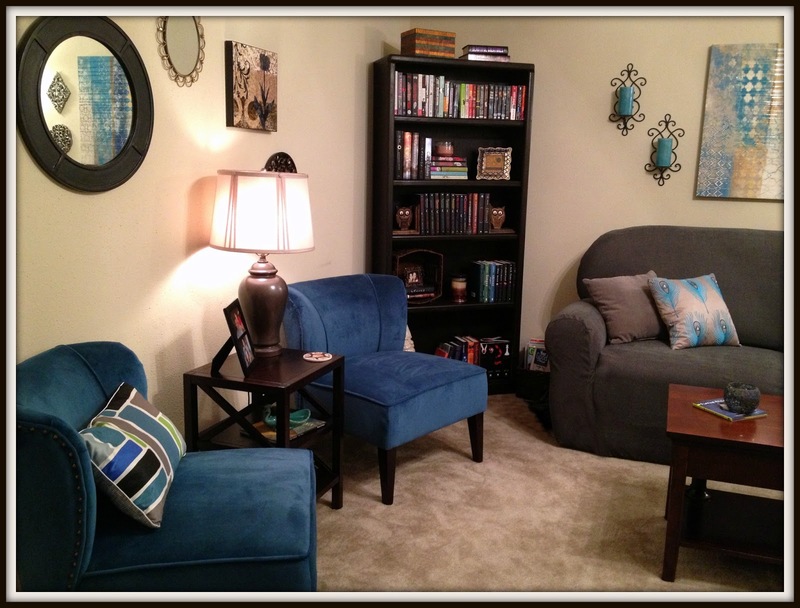 and needed a craft area in her new apartment. 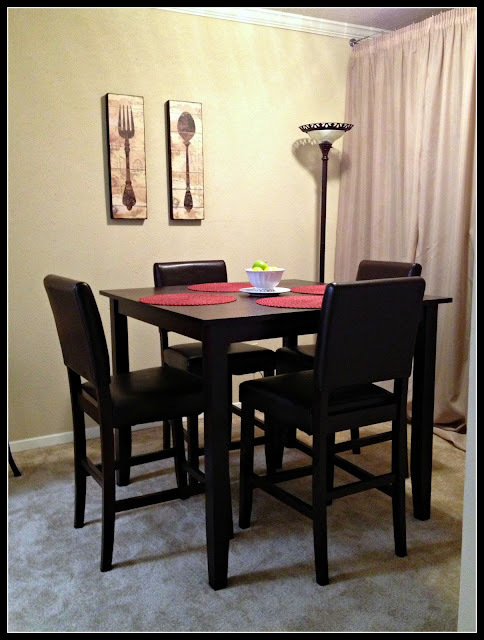 She got her a small dark wood bar height table for her birthday back in February and that left a large amount of unused space in her dining room. 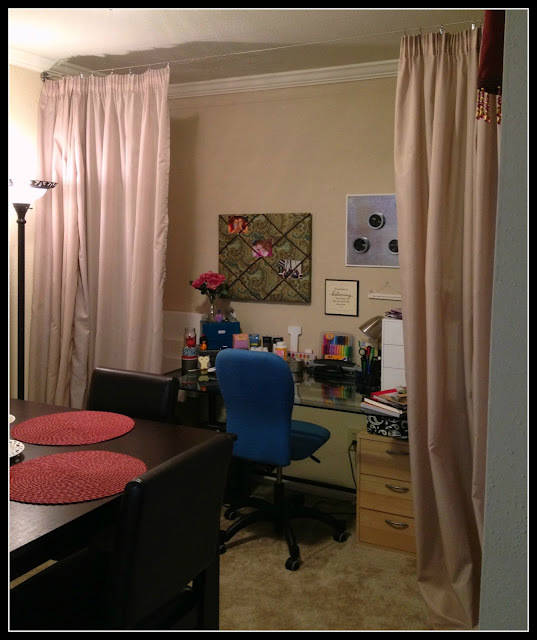 After a trip to Ikea we got the great idea to curtain off the back wall for her craft desk and supplies. TaDa!!! 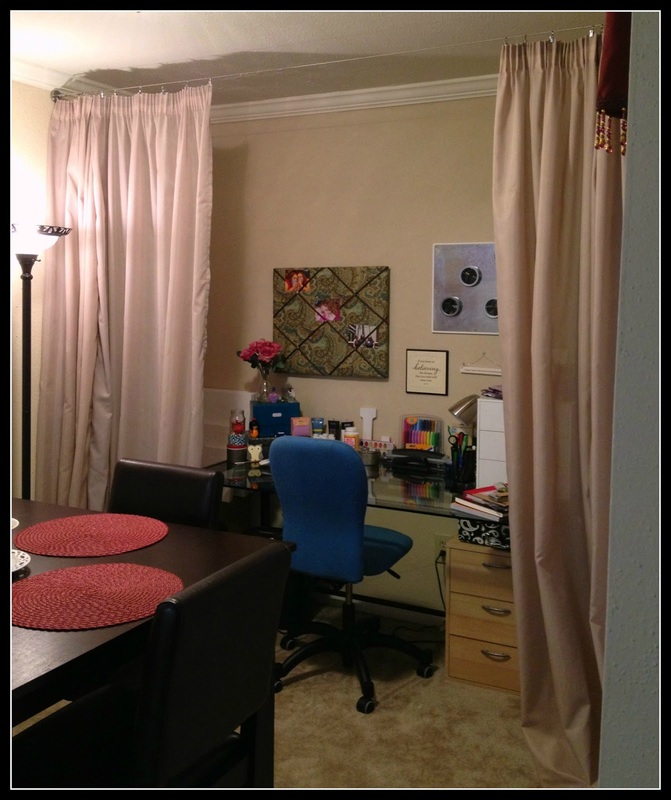 Presto Chango and the Dining Room turns into a Craft Room! 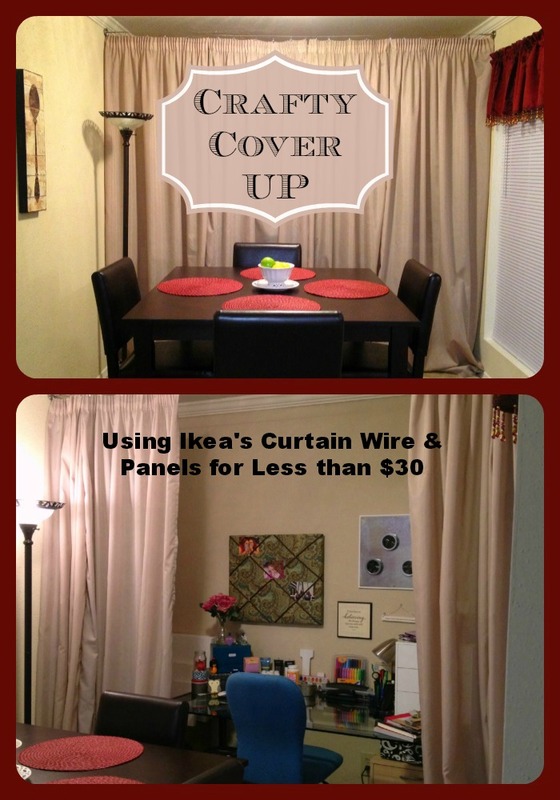 The curtain wire kit and clips cost less than $20 at Ikea and the curtain panels were only $9.99. 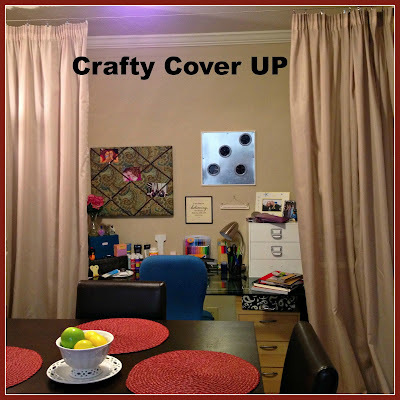 It was really easy to put up and makes a great cover up for her craft area, while still giving her plenty of room for her table and chairs. 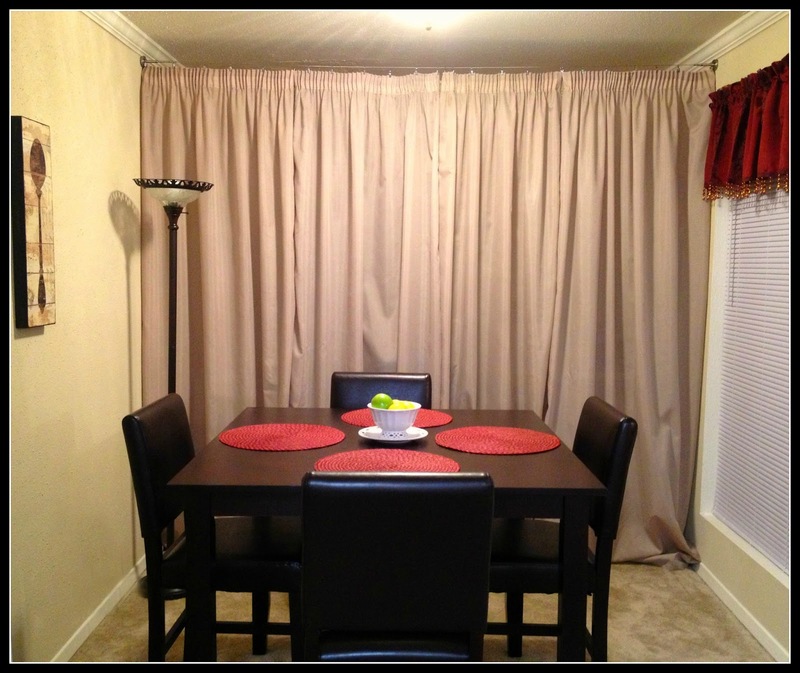 We just love how cozy her dining room turned out and her living room is coming together nicely too! 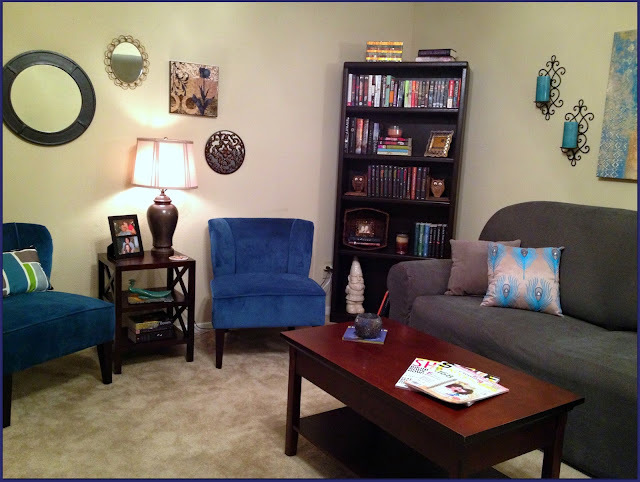 She picked up a great peacock pillow at Garden Ridge for only $9.99 and it looks terrific on her grey couch! Her thrift store lamp fits in nicely too now that it isn't dark green with brass trim! completely captures her style - Feminine and Classy! Sorry for the poor picture quality - left the good camera at home! I love oatmeal cookies! 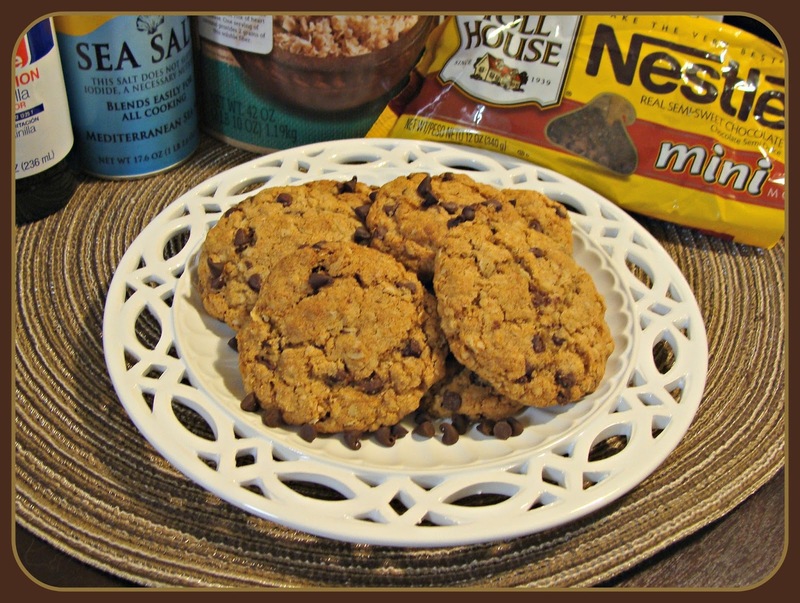 Add some chocolate and they are in the running for my favorite cookie! Only bested by the snicker-doodle of course. 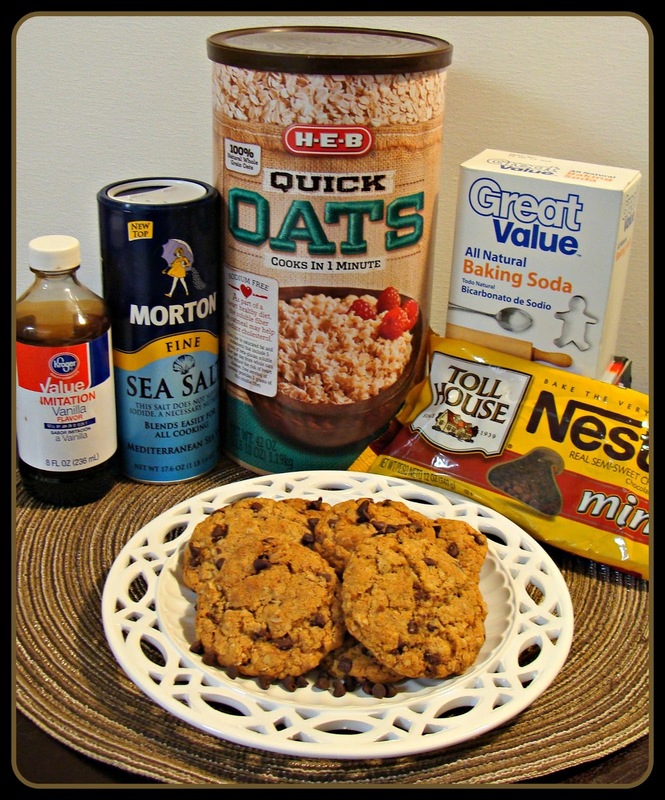 I was craving some this weekend, so I googled "oatmeal chocolate chip cookies" and a Betty Crocker recipe came up first. I modified them a tiny bit, so here is my take on the original recipe. I used Whole Wheat Flour and an Organic, Cage-Free Egg, so they are healthy......right??? 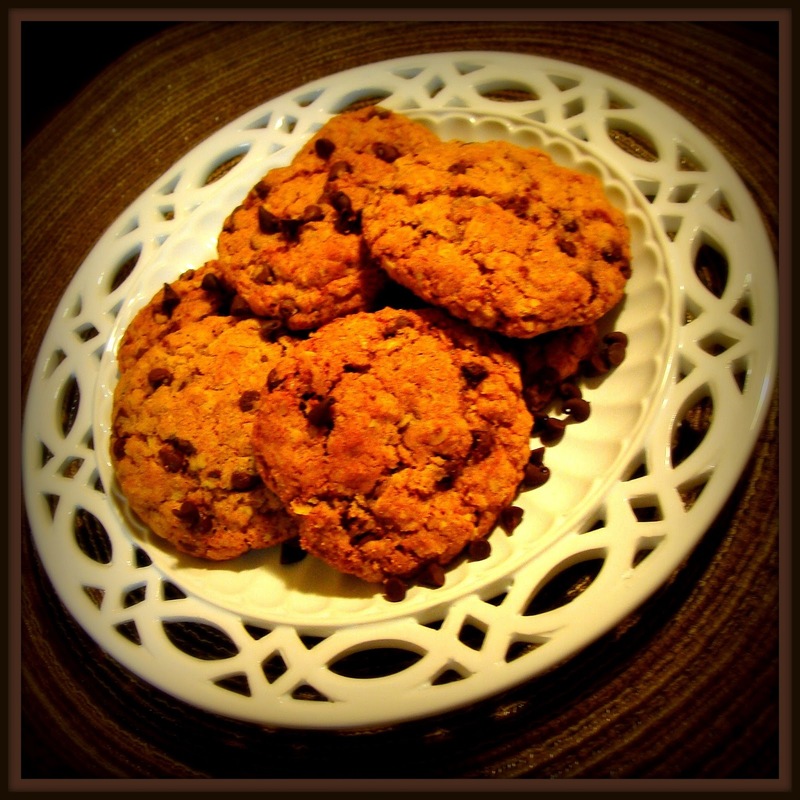 They have oatmeal in them, which is healthy too, right? I got a little artsy on this last photo, please forgive me. 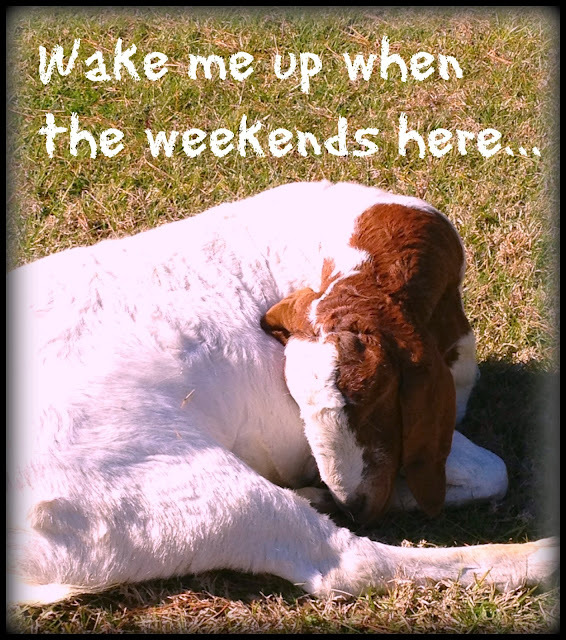 I just love Picmonkey! So, the recipe makes 48 cookies. Holy cow! I love these, but 48 seemed a bit crazy. I froze a quarter of the recipe for later. 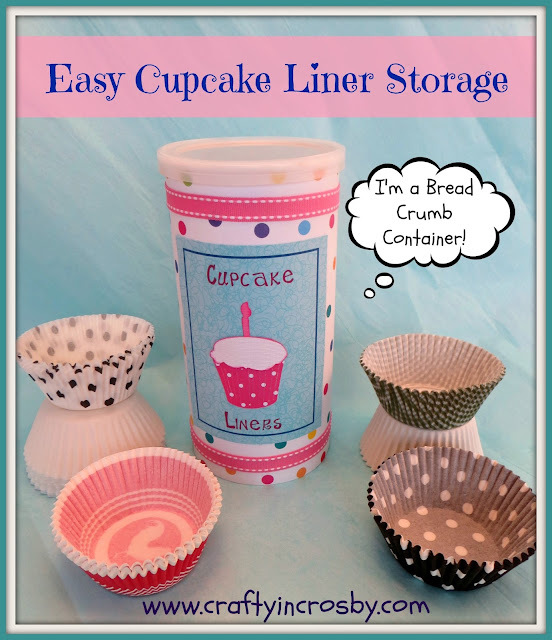 You can save the dough in the freezer for up to 6 months, not that it will last that long in mine. Everyone at the office loved these cookies. I hope you love them too! 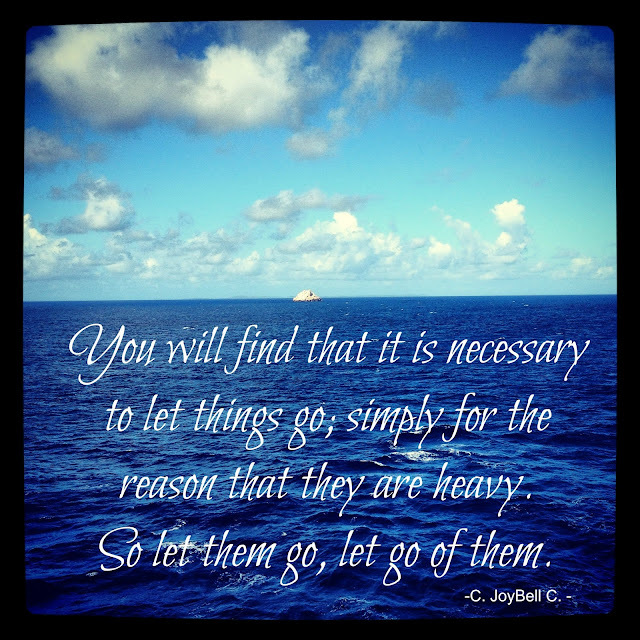 I had a post ready to go today, but it seems irrelevant considering what happened this afternoon. All of these senseless, tragic events keep reminding us that you only have one life and one family. Do what you can to live your life to the fullest, and keep your family close because you never know when they might be taken from you. 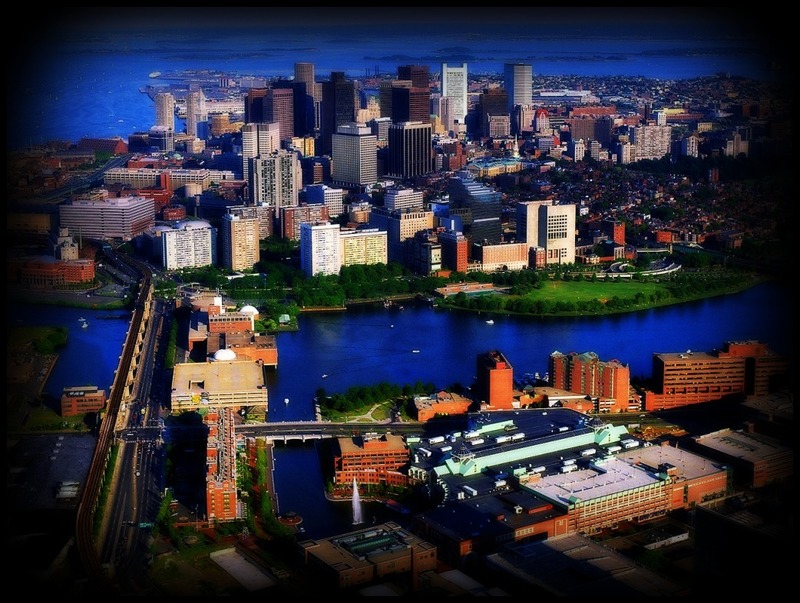 Let's keep the people of Boston, Massachusetts in our thoughts and prayers. Ok, I don't normally blog about all the ups and downs of every day life, but I just had to crow about this one!!!! 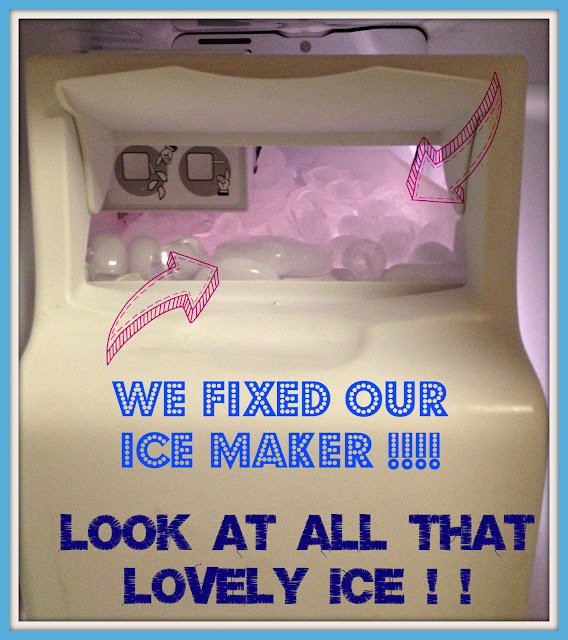 WE FIXED OUR ICEMAKER!!!!! For those of you that don't know us, we are usually the "Call the Repair Man" kind of people, but thanks to the internet and a great website (and no this isn't a sponsored post) Appliance Parts Pros, I found the information we needed to get it back up and running again! Look at all that LOVELY ICE!!! So here's the saga of the ice maker. It started working intermittently last spring, then finally quit working right around the time that Mr. Crafty had his surgery. 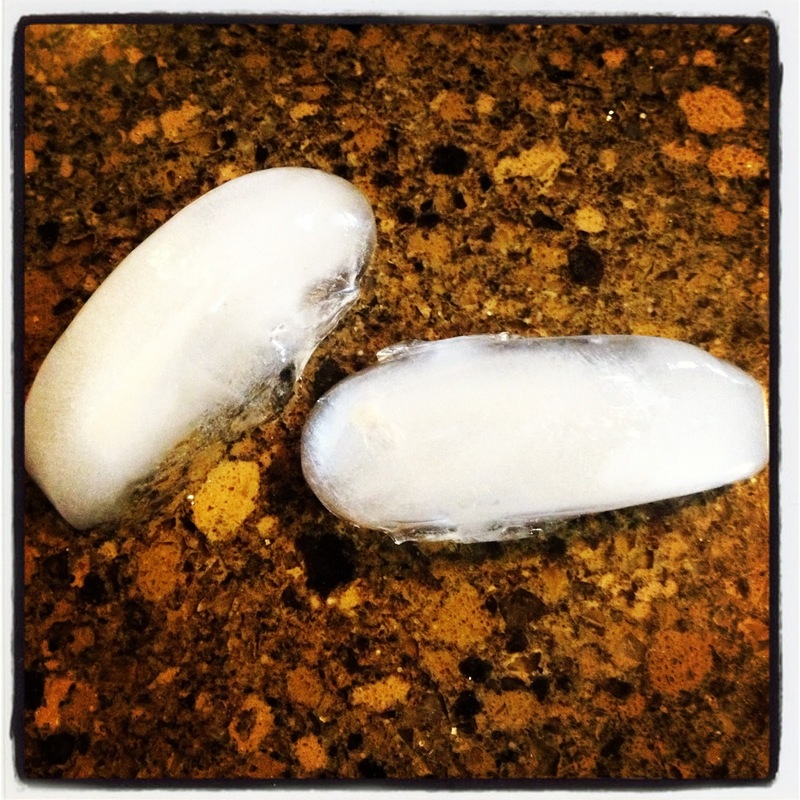 So we opted for making ice that old fashioned way......with ice cube trays! Most of you young people have probably never had any experience with these, but they do make ice like a charm and if one breaks, you just run down to the $ store and buy another package! Even though the ice maker wasn't working we were still able to get ice out of the fridge door.....until about the beginning of February when the dispenser broke too!!! I think it was all of that home made ice - it's much bigger than the ice cubes that the fridge makes. I thought that since the ice maker was broken. we at least needed the dispenser to work! I got online with the model of the fridge and found Appliance Parts Pros.com. Found the dispenser/bucket and along with that, their great question and answer section. After reading several of the comments from their techs, I found out what might be wrong with the ice maker. Several of the tech comments talked about the water valve needing to be replaced, so I thought we would try it along with replacing the dispenser/bucket too. We ordered the bucket and the valve and it was delivered just a few days later. The valve was really easy for Mr. 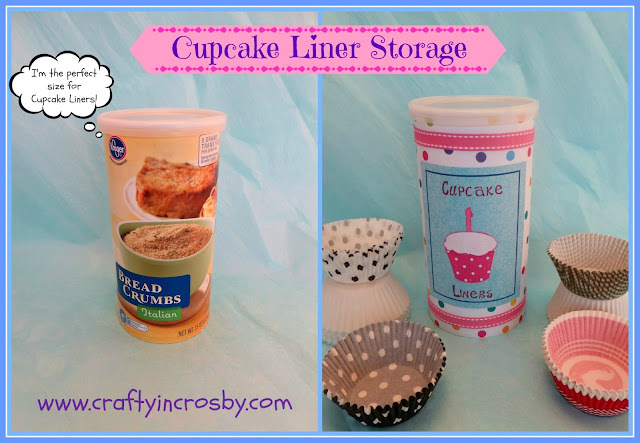 Crafty to replace and the water immediately flowed into the ice maker just like it was supposed to! It only made one batch of ice and then, although I could feel the ice in the maker, it wouldn't drop over into the tray. Back to the website for more info. Turned out the plastic gear on the front of the ice maker was missing a tooth! Another small order from the website and PRESTO!!! The Ice Maker is full!!!! I can't tell you what a great feeling it is to have been able to repair the ice maker ourselves! It's the little things in life, like a fridge full of ice that makes me HAPPY, HAPPY, HAPPY!!! 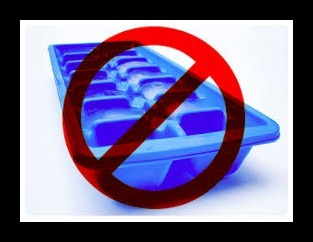 No more Ice Cube Trays for us!!!! Thanks to this great website!!! Iced tea just tastes so much sweeter when the ice cubes are made for you! Right? Hope you all have a fun filled, fantastic weekend!! Woohoo!!! 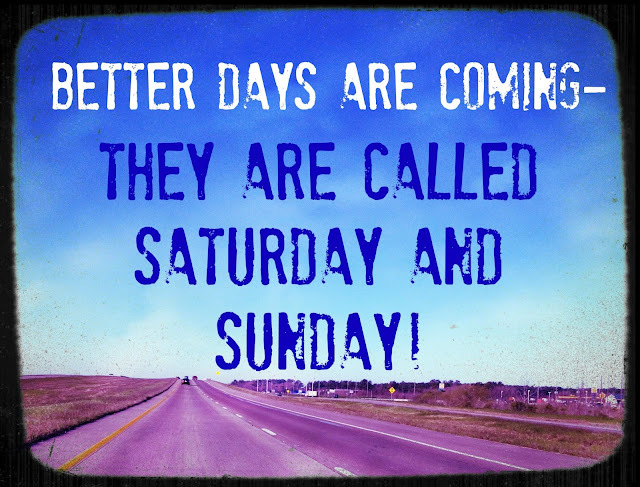 The Weekend is almost here!!!!! 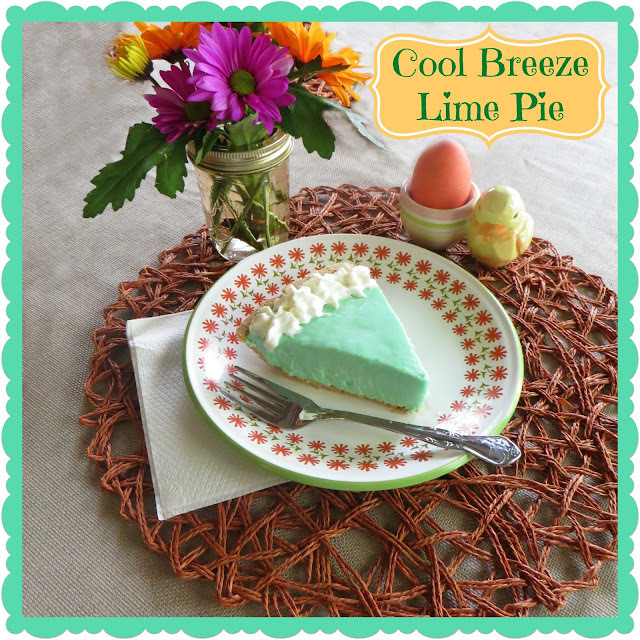 We made one of our family favorites for Easter this year ~ Cool Breeze Lime Pie. It's a very easy and delicious no bake pie. Beat cream cheese in a large bowl at medium speed until fluffy. Gradually beat in sweetened condensed milk until well blended. Beat in yogurt, lime juice, food coloring until smooth. Fold in Cool Whip. Spoon in pie shell. Refrigerate 3 hours until firm. The recipe also calls for 1 tsp Lime zest, but frankly, I don't think it needs it. The pie is flavorful enough without it and I think it just looks funny with the zest. Leigh whipped up the pies for us while I was busy working Saturday night and she made them really GREEN! LOL! I don't usually make them quite so brilliantly colored. But they tasted just like normal - kind of a lime cheesecake dessert. This recipe makes a deliciously cool summer time dessert and is one of the hubby's favorites. 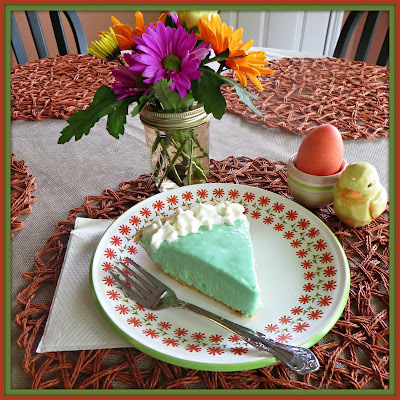 Do you have a family favorite ice box pie? That's what my Granny used to call them. 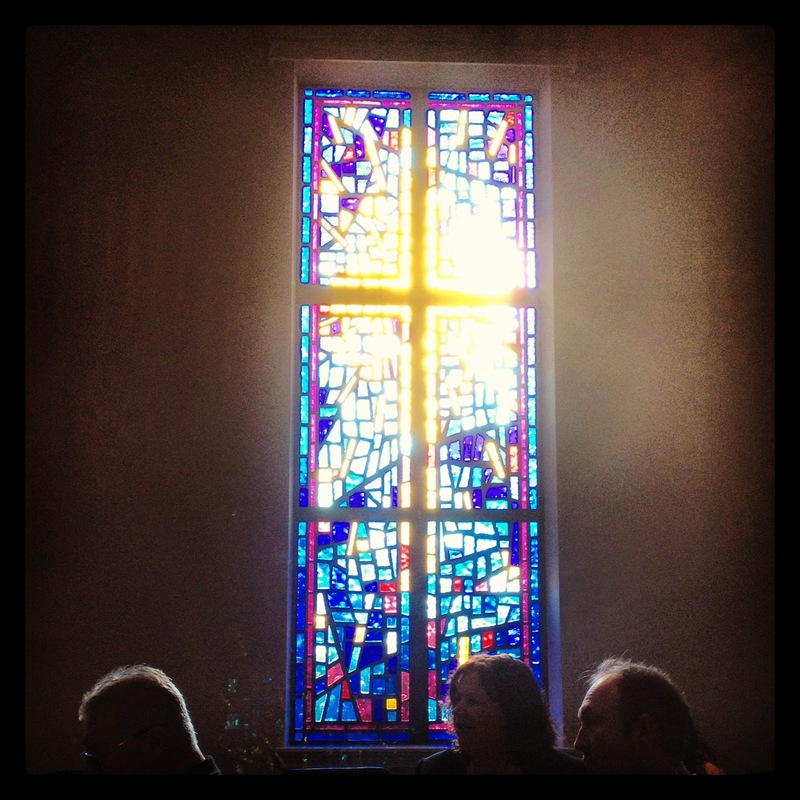 Hope you all had a wonderful Easter Sunday!